If you were trying to play some games on the PlayStation Network and were unable to, your frustration was shared by many gamers. 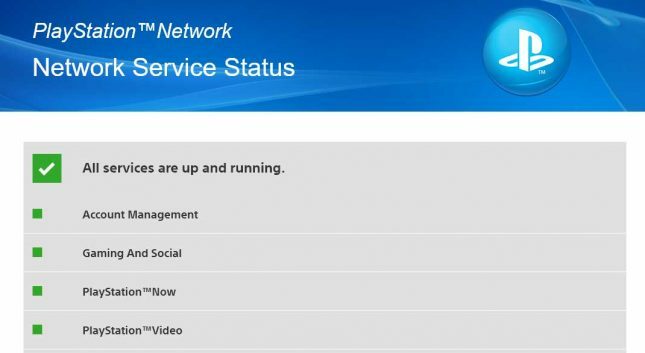 The PSN was down, but the issues have now been fixed. The issues that were plaguing gamers had to do with the ability to get online and play games. Gaming and Social services were offline, and the issues meant there could be difficulty launching games, apps, and using online features. Some big games were affected due to the outage including Destiny 2. It seems that Fortnite had its own issues with Season 5 content that don’t appear to have been related according to GameSpot. The good news is that as gamers get up and going this morning, the network appears to be fine. Those who thought the PSN issues might be only them should feel better with this news.